This distinctive moss mat will add a touch of charm and interest to a window box, planter, or other gardening container. Made with a delicate netting applied to the back of the moss, these liners can be cut and have adhesive applied for your gardening project. 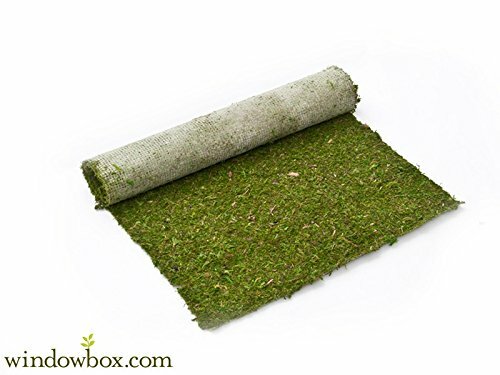 Our Moss Roll is made from Forest Moss that is dried, and preserved for years of use. Use moss mats as hanging basket liners or window box liner replacements. Right on trend, they'll help modernize the look of your planters and flowers.